Help us to keep families safe during their travels by purchasing our international award winning product "AlertUs" Roadside Safety Product! Founded in 2007, NexTTyme LLC began with one customer and a mission to be our clients' long-term, trusted security and risk management advisor. Our handpicked team ensures every customer confidentiality, integrity, and availability through scalable, repeatable, and sustainable information security services and solution offerings. Our experience has established us as an authoritative resource for Meaningful Use IT Risk Assessment, PCI, HIPAA/HITECH, ISO 27002, HITRUST security and vendor due diligence; as well as other standards, frameworks, and regulations. In a world of technological change, NexTTyme LLC helps you to take control. Because your information is your business. NexTTyme LLC IT Governance, Risk, and Compliance Advisory services enable organizations to measurably assure operational performance, identify enterprise risk, select appropriate mitigation strategies, define detailed corrective action plans to manage remediation efforts. 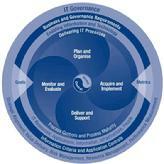 Whether in healthcare, banking...etc, frameworks play a major role in defining you compliance program. 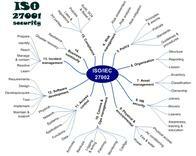 After 20 years developing IT controls in this industry, we've found that every framework used today is heavily based on ISO/IEC 27002:2005. We will map your processes, people and technology to your framework (HITRUST, CoBit, ISO) to include regulatory compliance back to your local policies and standards.